Austin Therapist: Aggie Beasley - Therapist 78734. Send A Message To Aggie. Session Fees: 60 minutes of individual counseling is $80.00. Couples counseling (90 minutes) is $90.00. Low Energy Neurofeedback w/ psychotherapy is $135.00. Biofeedback is $80.00. 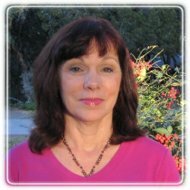 Prior to raising my children, I taught elementary school in Florida and was a guidance counselor in an elementary/middle school setting in the Florida Keys. More teaching experience was gained in the states of Montana, Kentucky, and Texas. After teaching and counseling I worked in international business, primarily in semiconductors, for a number of years and grew to appreciate between private business and the public school system. In 2001, my daughter, then a senior in college, became a random victim of violent crime. She was given a five percent chance of living at the time of the incident and was able to survive those odds. This event impacted my family, goals, resources, and existence. This moment marked a turning point causing ripples in every direction. Counseling helped mend and transform many of the situations surrounding the act. Stress was available in abundant quantities during and following these years. How the body and the immune system intertwine was noticeable. Training and certification in Biofeedback brought a clear understanding of the body’s responses to stress and how to be less reactive. Chronic pain, which means pain that does not remit after a period of time, was researched along with its effects on the body. This interest in the body’s response grew to how the brain and body interact under stressful or painful conditions. Neurofeedback and Low Energy Neurofeedback expanded my previous knowledge base. I became particularly impressed with Low Energy Neurofeedback because of how quickly individuals respond positively. In 2008, I returned to school to complete coursework that would allow me to work as a Licensed Professional Counselor. While attending school, I worked at a local pain clinic doing biofeedback with the patients. One of my counseling practicums was completed at Brookes Army Medical Center in San Antonio working in the Pain Clinic with the Wounded Warriors and their families. The other practicum was at Western Kentucky University Lab School where I worked with the children of the faculty of that college. Since then, I have received training in EMDR, which helps with traumas that are small and large in impact on a person’s being. I have also received training in trauma studies and anger management which both offer the ability to transform and grow from a stuck position.Opening doors that were closed.